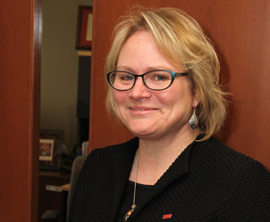 Cornwall Ontario – Carleton University and St. Lawrence College are making it easier for students to transfer between institutions with new agreements that will apply to all college graduates. Recipients of three-year advanced diplomas at St. Lawrence will be eligible to receive up to seven credits in a Carleton Bachelor of Arts program, while two-year diploma holders who gain admission to Carleton will get five credits. Fourteen specific programs at St. Lawrence have also been assigned a minimum of five credits at Carleton in the Bachelor of Arts, Bachelor of Science and Bachelor of Social Work programs. Five credits represent one year of full-time study. Students must complete their programs with an overall average of at least 3.0 on a 4.0 GPA scale to be considered for admission. The programs include social service worker, police foundations, law clerk environmental technician, early childhood education and veterinary technician, among others. 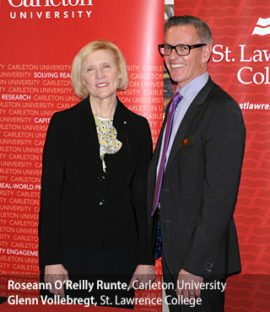 Last year, Carleton and St. Lawrence signed a memorandum of understanding to collaborate in program delivery, credit transfer, applied research, entrepreneurship and other activities. Fast-tracked pathways for Carleton grads to access St. Lawrence programs are also being identified. The two institutions plan to explore other collaborative programs in the future. 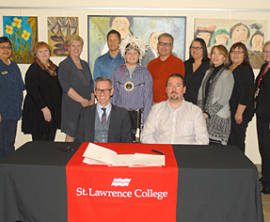 A committee comprised of representatives from Cornwall, Carleton, Akwesasne Mohawk Territory and the United Counties of Stormont, Dundas and Glengarry has been working since 2014 on ways to deliver niche post-secondary programs in Cornwall that build on its economic and cultural profile. In October, Carleton and NAV CANADA signed an agreement to work toward establishing an Aerospace Centre of Excellence that would offer a variety of pioneering programs to students. The undertaking will integrate the expertise of NAV CANADA, the country’s Air Navigation Services Provider, and Carleton, home of Canada’s first Bachelor of Aerospace Engineering program in the research-intensive Faculty of Engineering and Design. With three campuses in Brockville, Cornwall, and Kingston, St. Lawrence College is an integral part of the economic life and social fabric of Eastern Ontario with a close-knit community of 7,000 full-time students, and more than 70,000 alumni. Hundreds are also enrolled in online and continuing education courses each year. 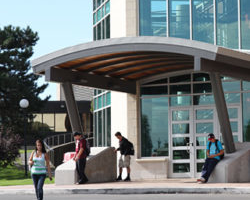 SLC college has many Applied Research projects in progress, and its Corporate Learning and Performance Improvement group has helped more than 350 organizations grow and prosper. 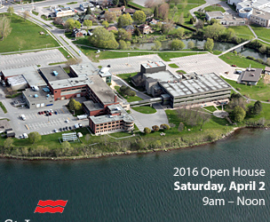 The Cornwall Campus is nestled on the banks of the St. Lawrence River, and shares its campus with Aultsville Theatre, the head office of the Canadian Colleges Athletics Association and the St. Lawrence River Institute of Environmental Sciences.